ere it is, our February issue! Once again, we proudly present a wide range of contemporary photography, up-and-coming photographers and interesting contributions from aspiring photo artists from all over the world. Right at the beginning, MARKUS VAN HAUTEN takes us on a journey into his wonderful world of landscape photography, giving us insights into his work in his interview. Our columnist THOMAS FÜNGERLINGS discusses the topic of how to find one’s own style. Again we have the pleasure to welcome NIKITA STUPIN as our guest columnist. This time he is dedicated to the subject of analogue photography. In our section PhotoReview, we present MICO PAVLOVIC, ANDY FELTHAM, SASHA ASENSIO, MARTIN PEDROS, CÉDERIC BRION, PAULO SOLIPA, PAULINA SKONIECZNA, BLUENN, DAVID FRUTOS EGEA, JESPER KRIJGSMAN, GERASIMOS PLATANAS, ALEX SCHÖNBERG, VALERIE KABIS, and BERND GROSSECK. Not to forget our EYE-Catching Moments: These are award-winning pictures selected by our online editors from our Facebook photo group with now over 17,000 active members. 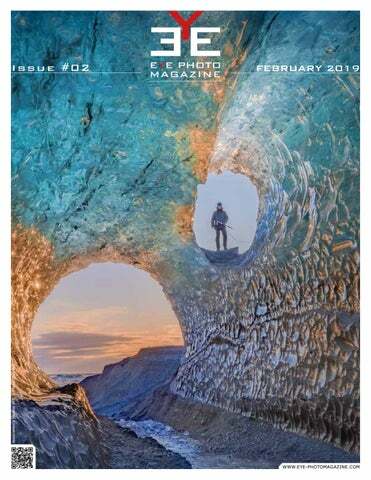 The EYE-Photo Magazine team wishes you a pleasant reading! Kase K100 Wolverine SLIM Filters Discover our new KaseFilters K100 Wolverine SLIM filters. Our 1.1mm thin filters are made of the same toughened optical glass as our 2mm filters of the Wolverine series with its outstanding shock resistant, scratch resistant and oil- and waterproof nano coatings. Kase Slim Filters deliver outstanding results in terms of detail sharpness and color neutrality. Available as single filter or in one of our entry-level, high-end or master filter kits. How did you get into photography? I’ve bought my first camera in 2006. I never got in touch with photography before. I visit Iceland for the first time in 2006 and started photography. With this trip my interest was awakened, and I steadily professionalized my hobby. You have different genres of photography like sports, animals, architecture and landscape. What is your favourite genre? Yes, of course, I first started with sports photography and animals and later in 2013, I started landscape photography. That's now the thing I love to do most. How did you come to landscape photography? During some trips into the Alps, I got infected by the virus called “landscape photography”. Is photography your main income or is it rather a hobby? Photography is not my main business it is a “professional” hobby for me. You really have some beautiful images. What is your favourite landscape motif (like forest, mountains, rivers or the sea)? Hard to decideâ&#x20AC;ŚI think mountains and seascapes, especially in the northern regions. To take some good landscape images as you do is so much more than to walk to a nice place and capture something. Can you tell us something about your process and if you use some technical stuff like apps for preparation? First of all, thank you. To be prepared is necessary. So, I take a lot of time to prepare for a trip. Normally I have only a few days for my photographic trips and a plan where to go and when the best time is to be there. The only thing you cannot plan is the weather and that's a big part when it comes to landscape photography! How much time do you spend in photography? That depends on different things. When I am planning a trip, I spend a lot of time to be prepared. Checking Google Maps for locations and routes to and back from the spots. After such a trip it's time to develop and then, I try to send the pictures to Photo competitions. You have some amazing long exposure images in your portfolio. What kind of filters do you use, and which do you personally prefer most? Yes, of course, I often use filters for my photographic work. For 1.5 years I use the brand KASE Filters. These filters are glass made and very sturdy, you can combine them and get no colour shifting. I often use the ND 3.0 in combination with GND1.2. What kind of software do you use to edit your work? I use Adobe Lightroom, Adobe Photoshop and Skylum Luminar. What do you think about editing and post processing and how much time do you spend on it? I think in digital photography it is really important like the darkroom in analogue photography. I try not to spend too much time editing my images. Usually, I would think 10 minutes on average. Some people have the opinion that this kind of a photo is not a â&#x20AC;&#x17E;true â&#x20AC;&#x17E;photo because of post-processing. How do you think about it? As I said, in analogue photography, they did the same. I would never exchange the sky or something other, but I think editing to a certain extent is OK. In many photography groups, for example on Facebook, people very often discuss the perfect image or the perfect shot. What is the „perfect shot „for you and how do you think about it? Honestly, I don’t know. I think I never took “that” perfect picture. There are a lot of good pictures out there and perfect photo you eventually need: Perfect light, perfect foreground, perfect background, and a perfect moment. Do you think it's the most important thing to have the newest high-end full-frame photo equipment to take a good photo? No, of course not! To have the newest gear is a good thing and can help a lot but, you need a good eye for composition to catch the moment. You take the picture and not the camera! use Canon cameras (5D MKIV and EOS R) and lenses also from Canon. Filters from KASE, Gloves from â&#x20AC;&#x153;THE HEAT COMPANYâ&#x20AC;? and of course a tripod and a backpack. Many photographers only talk about the newest gear and not as much about creativity or image composition. What is your opinion about it? Creativity is the most characteristic thing you need in photography the second necessary thing is image composing and the third is the gear. We very often see the same motives in images over and over again, especially on Facebook. What do you think about all these high traffic photo spots with sometimes more than 20 photographers simultaneously out there? This is a problem but we (photographers) are one of the reasons why the other peoples are there! People see our pictures and want to go there, too. This is the reason why I do not tag not well-known spots. Crowds of people will follow, and the natural places might get destroyed. But I do also travel to well-known places because a lot of them are fantastic. Sometimes it is hard to take pictures there, but it is possible. omeone told me he was looking for his style of photography. Everyone likes to hear that when said that I love your style. I think you can’t find it somehow, but it will come to you. The thing is, everyone does in the long run only what he enjoys. And if you enjoy it, you do it more often. If you do not like to take pictures of animals, then you will never become the "animal photographer”. If you do something with passion, then you will do so over a long period. I have learned this skill over the years. To be able to forget a hundred times more important than an ability to memorize, as well as being able to stop in time, is far more important than skill to start better than others. How often do we know when to stop? How many of us have this universal sense of tact, so necessary for photography, where the basic principle of action is “stopping time”? I do not think that many, but I am sure that some. The analogous past of photo art was taken away into the darkness of past years by the masters who acted as part of the “Decisive Moment”, leaving us alone with their silent inheritance. The great photographers of the past were distinguished from today’s leaders by one extremely important, I would even say, fundamental feature - they could say “stop” to themselves. Being limited to a certain, clearly delineated number of frames embedded in the potential of a film reel, these people knew how to save frames as well as they could wait for their “Decisive Moment” (please note that when I say “save” I do not mean make fewer photos in total) The era of consumption dictates new laws and rules to us, one of which is excessiveness in everything we do, which inevitably reduces the quality and, most importantly, the value of what we create. Recently, I stumbled upon a course where people paid money to learn how to properly breed a customer for money. Lord, they teach that which usually remains secret. They sell what the photographer must study himself, in the evenings and nights, while sorting out his camera, trying settings, playing with the light, learning science the same way the Greats from the past did it. For all the time of my communication with many teachers of photography, not from one person, never I have heard a decent explanation on the need for saving time and shots, restraint in their impulses and alignment of actions. I would really like everyone to try to study this magic art on their own. After all, this is the only way we get a chance not only to touch the greatness but also to become part of it. It is unlikely that I will be able to guarantee success in understanding this particular, metaphysical part of photographic art, but I can tell you about four rules that I adhere to myself and maybe, for someone, they will become a point of reference on the path to understanding this approach, and otherwise, these tips will be faithful assistants in the Street Photography. So, I want, and with this intention, I present them to you. Be faithful to the traditions of our art and most importantly - while living in the digital age, STAY ANALOGUE INSIDE. Rule 1 36 frames. Divide your entire street hunt into 36 frames. For convenience, buy 3 memory cards of 16 gigabytes (this will be more than enough) and take no more than 36 pictures for each one. Change the card when shot all the 36 frames. Such a simulation of working with a limited number of frames on a film will allow you to cultivate a value attitude to what you are doing, to every frame of yours and will certainly increase the level of awareness. Rule 2 Forget about LCD. Leica has already realized this principle and preparing to release the first digital camera without the possibility of using an LCD screen. You should try to completely exclude viewing of captured frames. During the interaction with the camera, you are fully focused on what is here and now, at all that is in the past, you should look at home. Learn to trust yourself, the settings on your camera and your guts. Forget about the screen! Rule 3 Plan, plan and plan again. Always put concrete and a clear plan of the shooting day. My main attribute along with the camera has always been and will be a small black notebook that inextricably follows me wherever I go with my camera. Before going on the hunt, in the days of preparation for work, I prescribe how many frames and what specifically I want to shoot. For example: Faces of people, close - 10, details of walls - 10, architecture - 5, etc. You can structure your plan as you want, make it detailed or general, whatever! The plan will allow you to perform your actions clearly and consciously, and it will also not allow you to forget about adhering to the rule number one. Rule 4 Wait. Haste is the enemy of Street Photography. Wait. Watch and wait for exactly the moment in which you see your idea, through which the previously written plan will realize your success. Remember - there is no hurry, be patient and wait for your “Decisive Moment”. “Your eye must see a composition or an expression that life itself offers you, and you must know with intuition when to click the camera.” Henri Cartier-Bresson Let’s love the art that allowed us to freely express ourselves and treat with respect to every frame that gives our genius a chance to live forever. Nikita is the creative director of Dessange Russia and Camille Albane Russia network, and also URT Subaru Russia. orn and raised in Brazil. Fifteen years ago he moved to Barcelona, to the neighbourhood of El Raval, so he could daily portrait its people and scenery, being its unique scenery. was born in 1989 in Koscian, Poland. I graduated from the Faculty of Law at Adam Mickiewicz University in Poznan. Since June 2018 I am a co-founder and photographer at Newbie Studio, based in Warsaw, Poland. avid Frutos Egea was born in 1974, in Murcia in the southeast of Spain and he is so interested in the photography from 2008. EXHIBITIONS "PICTIO, En Compañía de la Pintura" - 2017 / 2018... Collective Exhibition of Portfolionatural.com "International Photography Contest Agriculture & Water of Villena". 2015 Collective exhibition on the occasion of being among the winners photographers. "II National Photography Contest Ciudad de Orihuela". 2015 Collective exhibition on the occasion of being among the winners photographers. "IPA International Photography Awards 2013" Collective exhibition on the occasion of being among the winners photographers. "PX3 2013 Prix de la Photographie de Paris" Collective exhibition on the occasion of being among the winners photographers. "Squares" Cafetería CACHEMIR Paseo Siena. Bajo nº17 (paralela a la Av./ Venecia) Poligono de Santa Ana Cartagena (Murcia) From 11 March 2011 to 30 March 2012 "I Premio de fotografía APE"
Centro Cultural Infanta Elena de Alcantarilla From 15 June 2011 to 30 June 2011 "VI Concurso de Puertos y Litoral de la Región de Murcia" Collective exhibition AWARDS 2018 “MontPhoto 2018” - Honorable Mention in LANDSCAPES. “Narava 2018” - 3er Prize in LANDSCAPES. “Siena International Photography Awards 2018” - Finalist. “Oasis Photo Contest 2018” - Finalist in RAW and OPEN Categories. “Moscow International Foto Awards 2018” - 1st Prize in NATURE: Seasons. “Moscow International Foto Awards 2018” - Honorable Mention in NATURE: Trees. “Tokio International Foto Awards 2017” - 1st Prize in NATURE: LANDSCAPES. “Tokio International Foto Awards 2017” - 2nd Prize in NATURE: SEASONS. “Tokio International Foto Awards 2017” - Honorable Mention in NATURE. “Tokio International Foto Awards 2017” - Honorable Mention in NATURE: Trees. “X Photo Contest UNED - Cartagena: Romanticism, melancholy, death and ethernal rest” - 3th Prize. “11th International Color Awards” - Honorable Mention in NATURE. “International Photographer of the Year 2017” - Honorable Mention in NATURE: Trees. 2017 “XI Memorial Climent Picornell” - 1st and 2nd Prize in ART IN THE NATURE. “Gipuzkoa International Trophy 2017” - FIAP Honourable Mention in COLOR: Free Category. LANDSCAPE. “IPA International Photography Awards 2013” - 2 Honorable Mentions in NATURE: LANDSCAPE. “IPA International Photography Awards 2013” - 2 Honorable Mention in NATURE: TREES. “IPA International Photography Awards 2013” - Honorable Mention in NATURE: FLOWERS. “IPA International Photography Awards 2013” - Honorable Mention in NATURE: SUNSET/SUNRISES. “PX3 Prix De La Photographie Paris 2013” - 1st Prize in NATURE: TREES. “PX3 Prix De La Photographie Paris 2013” - 2nd Prize in NATURE. 2011 “IPA 2011 - International Photography Awards 2011” - Honorable Mention. “I National Contest of Photography APE” - 1st Prize. “PX3 Prix De La Photographie Paris 2011” - Finalist. 2010 “VI Contest Ports and Beachs of Murcia” - Honorable Mention. PHOTOREVIEW JESPER KRIJGSMAN WONDROUS WILDERNESS / SUPERNATURAL / DIGITAL DAYDREAMS The work of ZĂźrich-based Dutch artist and designer Jesper Krijgsman has a classical sensibility: Lush and colorful compositions of an arcadian world one would encounter in a dream. The artist invites you to step out of our fast-paced and modern society and into a land where natureâ&#x20AC;&#x2122;s diversity is celebrated, and mystical qualities are amplified. Although his natural scenes are fictional, a sense of realism is added through a certain attention to detail. Instead of traditional painting, the artist digitally combines his hundreds of single photographs taken of plants, animals and textures to build his paradisiacal collages. By utilizing exclusively elements gathered from our natural world, the artist hopes to revive a sense of enchantment and appreciation for our environment. erasimos Platanas is a self-taught photographer born in Corfu, Greece (1982). Started photography in 2007 and he uses a digital camera for his creation. At the 2011-2012 he participated in semester course for analogue photography in Fondazione Studio Marangoni, in Florence Italy. His photography has been featured in several publications, including Eyemazing Susan, Sarmad Magazine, Adore Noir Magazine, Blur Magazine, Unvael Journal, Woven Tale Press, B&W Minimalism Magazine. Also, he has collaborated with several experimental bands for art covers like Art Zoyd. lexander Schönberg was born in 1979 in Orenburg (Russia), is the second son in a German family. In 1994, his family moved to Germany, and since 2000, Alexander lives in Hamburg. In my childhood I discovered an interest in painting and music. From the youthful age for fifteen years he was engaged in music and later writing lyrics, until in October 2015 he came to a photo on the doctor’s recommendation “just to walk more”. After an hour he held his first camera in his hands. - Thanks to photography, I had the opportunity to capture my personal point of view on the scenes and objects of everyday life, so she quickly became the medium of my communication with the world. - It became necessary for me to convey my feelings and ideas through my photos to other people. The very process of photographing, as well as the variety of reviews for individual works, are for me the most attractive aspect of my work. 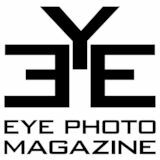 At EYE-Photo Magazine, we champion the idea that photos need space and that they should speak for themselves. T INDEX ARTIST INDEX ARTIST The index is sorted chronologically according to the submitted date of the pictures and not in alphabetical order! photo or text in any form.